Is the Democrat Governor More Constitutional than the Republican Legislature? opportunity to stop or veto it. Before the bill is completely dead, a vote can be taken in each chamber—the House and the Senate. If 2/3rds of the members of each chamber agree, they can override the Governor. This is a valuable check and balance. In the middle of this month, members of the General Assembly reconvened for the purpose of considering whether they would override any of the Governor’s vetoes. After 2003, nothing more happened. 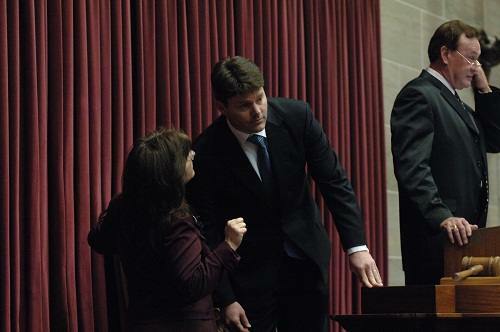 Most of the veto sessions were used for backyard barbecues, golf tournaments and fund raisers for members of the general assembly since they were constitutionally mandated to reconvene in Jefferson City. The other bill under consideration for a veto override was a measure to extract more taxes out of the citizens. Both chambers passed it overwhelmingly during the regular session, but when the leadership realized they didn’t have enough votes to override the governor’s veto, nobody wanted to make the motion for the vote. This letter explains why a bill is fatally flawed because it was poorly drafted. Once a bill is passed, it cannot be amended to correct what was intended. That’s the job the legislators are supposed to do as they read it before voting on it. We should all be grateful there is a veto process in place and that there are ways to overcome mistakes and allow government to correct itself. Sometimes bad bills still pass through the legislative process that grow government bigger, more intrusive and more expensive—like new mandates, spending bills and MOSIRA/ Anti-Life measures, despite all the campaign rhetoric to the contrary. The MOSIRA bill makes it possible for our taxpayer dollars to be spent on human cloning. Against the warnings of the Pro-Life community, it sailed through the legislature and right into the courts. 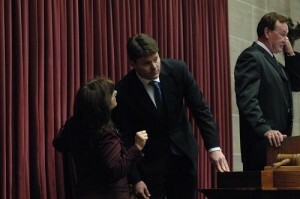 Legislators like to take the word of the sponsor as to what the new legislation hopes to accomplish. Some legislators are more lazy than evil. It’s easy to vote for a bill when your colleagues are telling you it is good and you trust them. As your next Lieutenant Governor, I will work on monitoring bills as they emerge so that they can be corrected, adjusted and amended before it’s dangerous. If a bad bill gets to the senate, I will be part of the debate so that the legislators are aware of the problems before the bill is passed. As you can tell by reading some of the bad bills that made it to the governor’s desk, some of your own legislators have some explaining to do. My office will serve as a much needed resource for truth and offer strategies for promoting constitutionally limited government. Under democracy one party always devotes its chief energies to trying to prove that the other party is unfit to rule – and both commonly succeed, and are right. The Taxpayer Protection Pledge – What Could Be More Important?